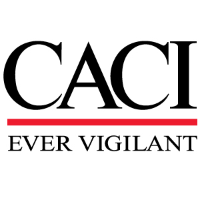 CACI is seeking Structural, Mechanical and Electrical Engineering Technicians to support submarine maintenance related Engineering and Planning efforts at the Portsmouth Naval Shipyard (PNS) in Kittery, Maine. Develop, create and review Job Summaries and Task Group Instructions (TGIs). Assist with other Deficiency Form problems and preparing Sales Costs estimates. Support of 688 Class and 774 Class Submarine engineering and Deep Submergence projects. High school diploma or equivalent, and at least 15 years of related Engineering Technician experience. Must be able to obtain a Confidential clearance. Strong SHAPEC or DSSP experience. 15 years' experience with submarine and/or deep submergence systems. Knowledge of US Navy Shipyard applications including AIM. Technical training equivalent to an associate's degree is also preferred.